After selling out their home opener, the San Jose Sharks failed to sellout their next two home games. Considering the fire that was ignited just 2 weeks earlier when the Sharks were guests for the LA King’s opener, a sellout was surely expected last Thursday when the Sharks hosted their hated rivals from SoCal. Instead, the Sharks came up short, selling 16,797 of 17,562 available seats in the Tank. Perhaps you can lay some of that non-sellout blame at the feet of the San Francisco 49ers who were playing their hated rivals, the Seattle Seahawks, just a few miles away at Levi’s stadium. Undoubtedly, the next game would sellout, especially since Saturday night games do historically well. When the Sharks welcomed the Hurricanes last Saturday, it was a historical night indeed and for the wrong reason. The Sharks paid attendance versus Carolina was 15,814, the worst attendance figure the Sharks have seen since 2006. The number is more surprising when you consider there was essentially no competition that evening other than San Jose State football which was over before Sharks pregame. The Major League Baseball playoffs even took the day off. You must also take into account that the number announced is “paid attendance” rather than actual attendance. While 15,814 tickets were sold, it was clear that not all were used. Where have all the Sharks fans gone? Is there one determining factor the Sharks can point to and say “this is the reason we’re starting our season with some of the worst attendance numbers in almost a decade”? Actually, I believe it’s a combination of factors happening all at the right (or wrong if you’re the Sharks) time. 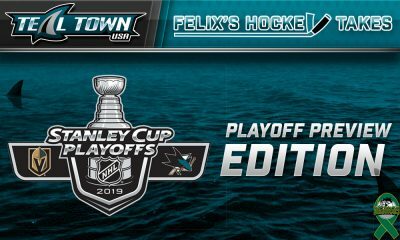 Since the historic collapse 18 months ago that saw the Sharks give up a 3-0 series stranglehold to the eventual champion LA Kings, the Sharks have done little, if anything, to curry favor with a fanbase that had witnessed more than enough playoff disappointments. They said goodbye to fan favorite Dan Boyle and offered no real defensive replacement. The Sharks also let go of beloved TV color man and former assistant coach, Drew Remenda. Many around the Sharks organization speculated that Drew’s dismissal was largely due to his call-it-the-way-I-see-it approach to the broadcast and too much truth proved to be too much for the Sharks’ front office. The summer of 2014 also saw the addition of Ice Girls. Many fans questioned the need of adding form-fitting attire to the female members of the ice cleaning squad after going 23 years without. While some fans thought the fuss was much ado about nothing, other fans were put off by what they believed to be sexist exploitation. The Sharks 2014-2015 season began well despite their biggest off season move being the acquisition of perennial 4th line goon, John Scott. GM Doug Wilson explained that Scott was brought in to protect the youngsters that the Sharks were looking to hand over the reigns to during this rebuilding year. However, it’s difficult to protect guys on the ice when you spend more than half the season watching the game from the press box. After consecutive wins against LA, Anaheim, and Chicago to end the month of January, it appeared the Sharks were headed for the playoffs for the 11th consecutive season. Instead, the Sharks imploded in February, winning only 3 of 13 games, none of them on home ice. The Sharks fell out of the playoff picture, never to return. 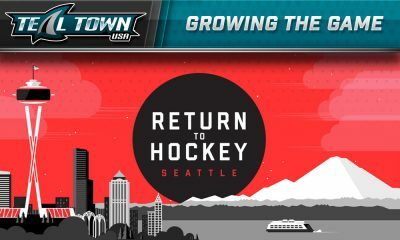 During this same February, season ticket holders began getting notices as the Sharks set a March 12 deadline for season-ticket renewals, much earlier than the traditional late May or early June deadline. Not only were fans being asked to renew earlier for a team they weren’t even sure would make the playoffs, they were being asked to pay more for it as the Sharks evidently thought this was the right time to raise ticket prices. Meanwhile, a team 40 miles north was solidifying their pole position in the NBA playoff picture and some Sharks fans may have decided to spend their money elsewhere. Like it or not, the NBA essentially plays the same schedule as the NHL with 82 games between the months of October through April. As much as everyone likes to watch a train wreck (insert Arizona Coyotes joke here), not a lot of people will pay to see one. Regardless, fans love a winner and are always happy to jump on a winning bandwagon. The Golden State Warriors are the reigning NBA champs and have a bonafide superstar in Steph Curry. After going 40 years since their last title, the NBA trophy is in Oakland. Are sports fans taking their money to Roaracle to see a winning franchise that was recently turned around by new ownership after years of failure? I think a small percentage just might be, but not all NHL fans like basketball. 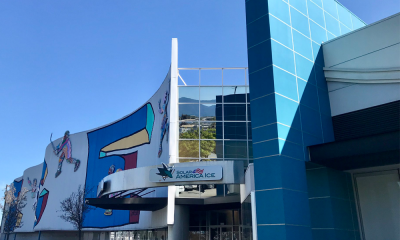 While it’s great that the Sharks’ minor league affiliate is no longer 3000 miles away, was housing them at SAP Center the best option for team teal? Obviously, you can point to the money saved by not having to fly players back and forth across the continent when they get called up to the NHL. 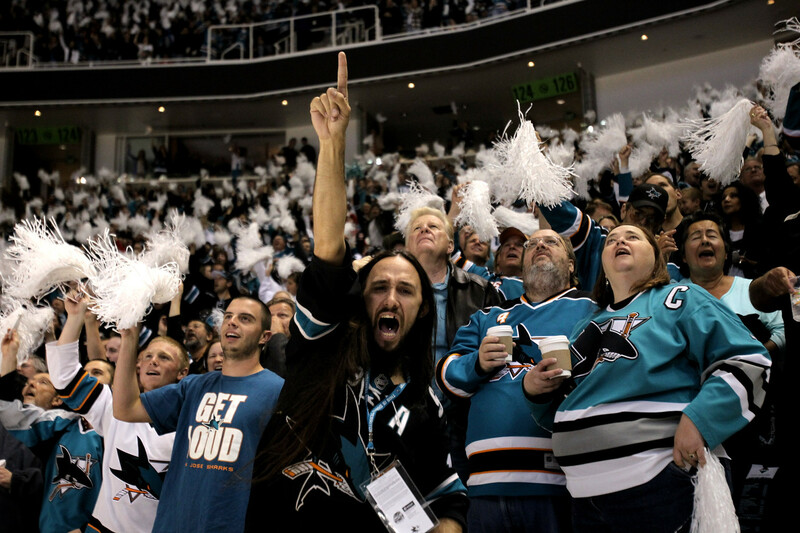 However, is it possible the San Jose Barracuda is eating into Sharks ticket sales? You’d have to believe that on some level, they are. Let’s agree that travel, parking, and concessions are about equal for both hockey teams and focus on ticket prices alone. If mom and dad want to take Jenny and Johnny to a Sharks hockey game and sit in row 22 of section 106, they’ll pay $84.25 per ticket. The same family of 4 can sit in row 23 for $19.25 per ticket to see Barracuda hockey. Do you really think mom and dad want to shell out $337 for the Sharks when they can spend $77.00 on the Barracuda? While serious sports fans will know and see the difference between major and minor league sports, children rarely do. In fact, I’m already seeing a decrease in families when I’m at Sharks games. When entire families can see Barracuda hockey for less than the price of a single Sharks ticket, it has to be an intriguing option. If you’ve been to a Barracuda game, you will see they are promoting themselves to families with minor league staples such as the “chuck-a-puck” contest and “simba-cam”. At the time this article was published, there were several rows of seats available for Wednesday’s tilt against the Nashville Predators on Ticketmaster along with almost 1,000 available on third-party reseller site, StubHub. The Sharks are also planning an open house at SAP Center next week in an attempt to sell more season tickets and partial-season packages. Bay Area fans are blessed with several pro and college franchises all fighting for the public’s sporting and entertainment dollar and the best way to sell your team is winning. As a lifelong Sharks fan, I’m excited about this 25th Anniversary season. 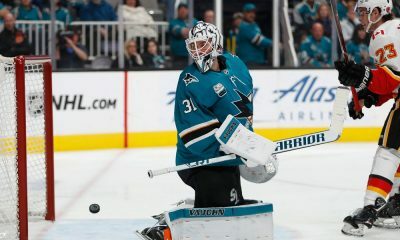 The additions of Paul Martin, Joel Ward, Martin Jones, and new coach, Peter DeBoer, have injected the Sharks with a renewed energy. A jam packed promotional schedule honoring the franchise history during their 25th Anniversary is another way the Sharks are trying to capture the excitement of the fans. While it is 18 months after the fact, many fans still have not gotten over the sting of being reverse swept by the LA Kings. Yet, after selling out the past 5 consecutive seasons, it will take more than a free poster or t-shirt to lure back what was once one of the most loyal and passionate fanbases in hockey after such a historical collapse. There would be no better way to celebrate the team’s silver anniversary and jump start fan interest than to bring a big silver trophy to San Jose next June.